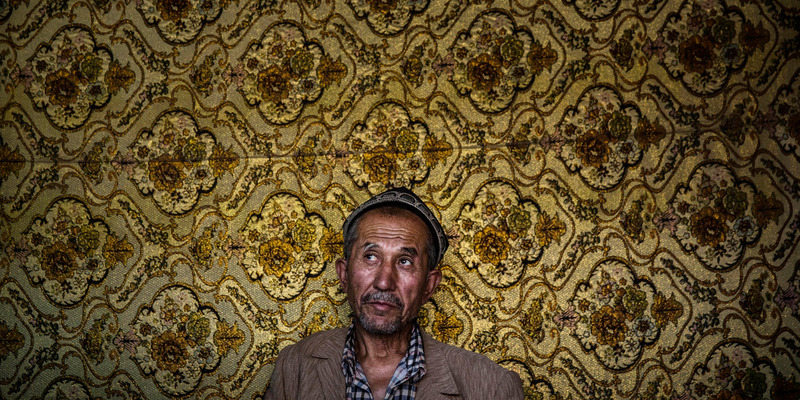 China’s surveillance of the Uighur ethnic minority appears to go beyond its borders. Authorities have reportedly been obtaining personal information such as licence plate numbers, bank details, and marriage certificates. 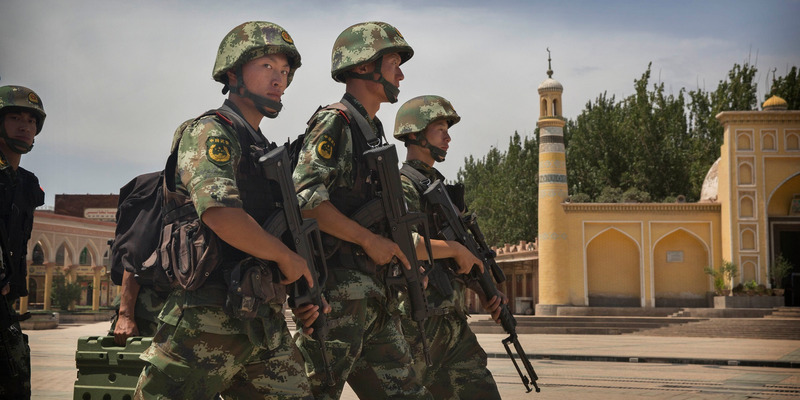 China’s surveillance and treatment of the Uighur minority has gained global attention. A UN panel last week said it was “deeply concerned” by China’s detention of up to 1 million Uighurs in re-education camps. 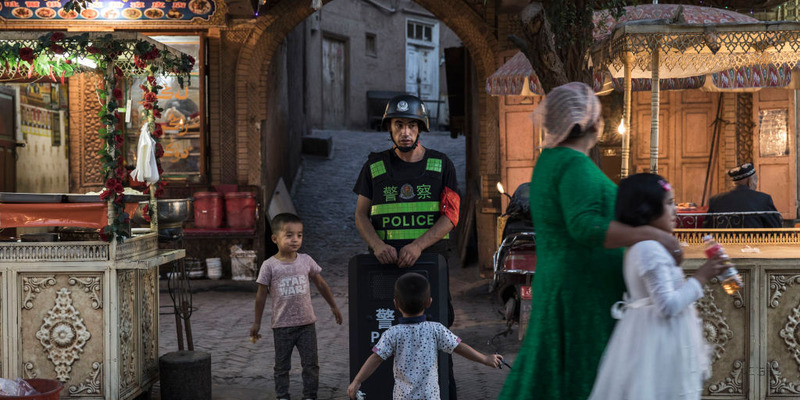 Around 8 million Muslim Uighurs live in China’s autonomous Xinjiang region, and are subjected to some of the world’s strictest surveillance measures. That scrutiny extends beyond Chinese borders, according to scathing new reports. 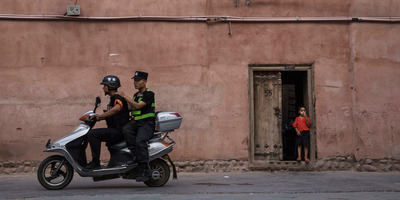 China is creating a global registry of all its Uighur citizens overseas, and using intimidation tactics to obtain personal information such as licence plate numbers, bank details, and marriage certificates, according to a report published Tuesday by the Daily Beast. 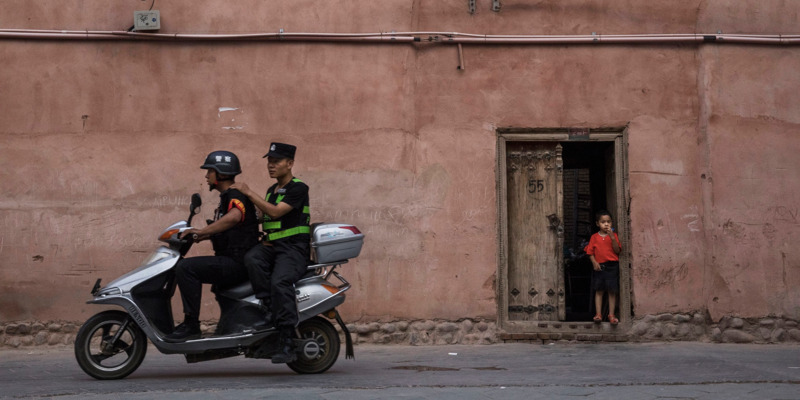 Kevin Frayer/Getty ImagesA Uighur boy stands in his doorway as police patrol his neighbourhood in Kashgar, Xinjiang, in June 2017. The woman’s mother claimed that China was creating a “new ID card system” for its citizens at home and abroad, and proceeded to ask for her daughter’s licence plate number, US bank details, and ID photo. “From her unsettled voice, I can tell she has been pushed by the authorities,” the woman said. Chinese police have also directly demanded personal information from the Uighur diaspora in Europe via phone or WeChat, and threatened their families if they didn’t comply,Foreign Policy reported in March. “Hello, I am a police officer with the [redacted] police station. Getty ImagesChinese soldiers in front of the Id Kah mosque in Kashgar, Xinjiang, in July 2014. Today, government surveillance of Uighurs permeates almost every aspect of the minority citizens’ lives: They are subject to extensive security checks in public areas, from gas stations to shopping centres. Authorities rely on a network of 40,000 facial-recognition cameras to monitor Uighurs’ activity, and recently began collecting DNA samples, fingerprints, iris scans, and blood types from all Xinjiang residents between 12 and 65 years old. Hundreds of thousands of citizens have been forced into “re-education centres,” which are essentially camps aimed at “rewiring the political thinking of detainees, erasing their Islamic beliefs and reshaping their very identities,” according to the Associated Press. 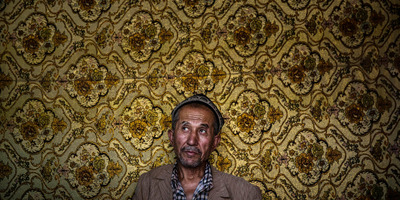 Several rights group say there may be as many as 1 million Uighurs detained in these centres. On Monday, China claimed there were “no such things as re-education centres,” but acknowledged that it had detained people perceived by the state as extremists.